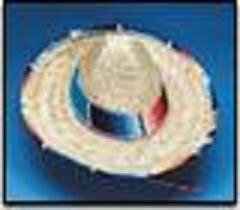 Jacobson Hat Company Mexican Sombrero Hat Adult Costume Spanish Fiesta Cinco de Mayo Festive Salsa,Multi-color,One Size | What Should I Say? Jacobson Hat Company has you covered if you need a last-minute costume. Jacobson costume accessories and hats are perfect for costumes, theme parties, and cosplay! This spanish sombrero hat is perfect for your dream costume. The hat features many colors along with serape band and made of straw. Great as gift for birthdays or holidays!